The Millet House is a 501©3 under our original name, Floaters Foundation. Our EIN is 41-3172967. Our mission is to support people from marginalized populations by giving them a chance to participate as equals in a real life gallery and community space, and to learn art and life skills by networking with those who already have such skills. In the mood to Do Some Good? There are several ways to support the Millet House. Donate to our Paypal. The Paypal link is here: Donate ! The money goes directly into the Millet House bank account. If you do donate, please add a note so that we can properly thank you. The historic adobe Millet House, located in Mesa, Arizona, holds an art gallery, a community gathering space, and a mobile library. The Millet House has always served homeless/formerly homeless people, people with disabilities, and survivors of domestic abuse and violence, with outreach to shelters and to individuals through a peer mentoring program. Many members of the Millet House Art Collective come to us from such situations. These have been joined by a few established artists who have contributed one or more works to the gallery in order to underscore the fact that our artists are equally worthy in vision and talent. We avoid labeling individuals, but if you wish to know the story behind an individual work, we will share what the artist wishes to share. 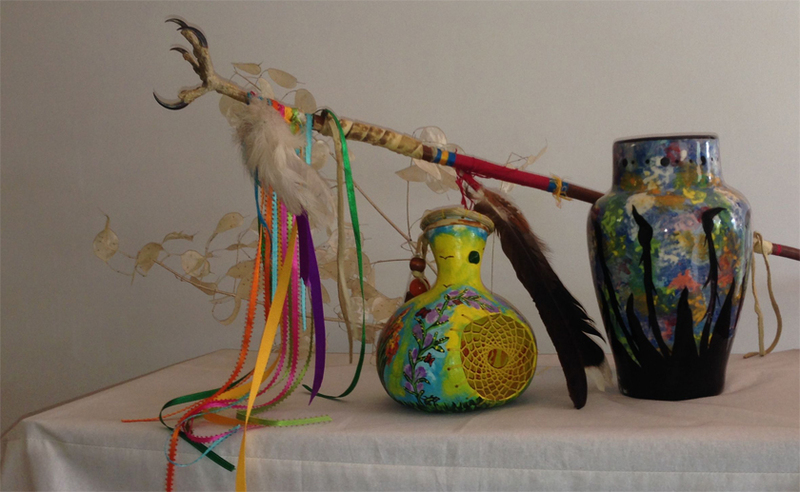 Members of the Millet House Art Collective focus on a variety of types of art, from acrylic painting through carved indigenous masks through beaded bracelets, but much of our art has a Southwestern flavor. Know that most of the money you spend here goes directly to the artists; a small percentage supports the Millet House and its outreach programs. That percentage is on a sliding scale and in the case of an artist who is currently homeless or in a shelter, all of the money goes to the artist. That said, the Millet House does seek funding, as we approach a critical time in which we must find support, or be wildly successful with sales, or both. If you are aware of funding opportunities, please do let us know. Further, your purchases certainly will help us continue our work along with providing income, well-deserved respect and the promise of a better life to our artists – who are on their way up – so please let your networks know about us as the holidays approach! The land that The Millet House was built on was originally part of a larger tract of farmland. The house itself was built near 1940, although the exact date is unknown. The structure is made of adobe mud brick. The house was connected to the telephone system in 1943. The shed appears to be the original carriage house of the farmhouse that was present before the land was parceled and developed. The ramada and Saguaro cactus on the property were constructed and planted for a wedding. The property has a basement which remains cool all summer long, even without air conditioning. Glad to come across you and the gallery. It’s great to be a part of the same downtown Mesa community!